A pretty parish church built in 1862 St Michael's is the focal point of the rural East Durham village of Hawthorn. As part of the Church of England, weekly services are held, and the attractive churchyard is still in use for burials, and is regularly maintained. The church itself is a beautiful setting for weddings. 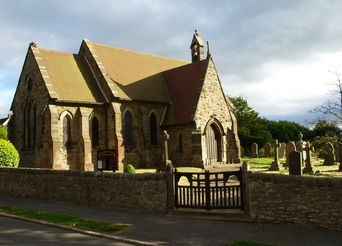 With local connections, if you would like to book the church for your wedding, call the Churchwarden, Jill Paterson, on 0191 5271908 or email us through our 'Contact us' page.